The new ALIEN movie is out in the UK today.... so here is a STARLOG MAGAZINE House Ad for their two official tie-in publications to the first sequel, ALIENS. 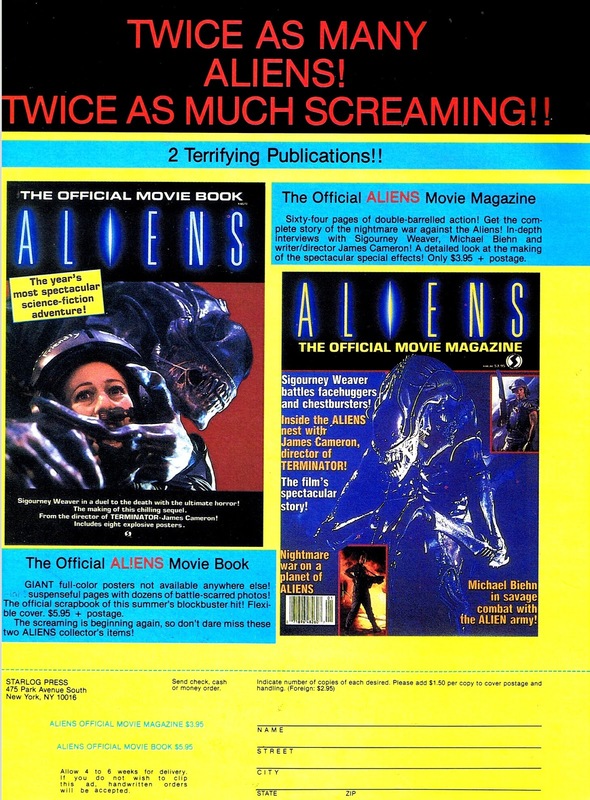 I'm not sure whether the ad's copywriter (IE someone in the office) knew anything about the plot of the film (possibly not) or just decided to make up a top line that worked because there were two magazines regardless of the countless number of aliens that turn up in the movie itself. ALIEN : COVENANT seems to be more pleasing to critics and fans than PROMETHEUS although it appears to be a re-hash of the original.